There's nothing quite like watching a sunset from a rooptop in Manhattan. 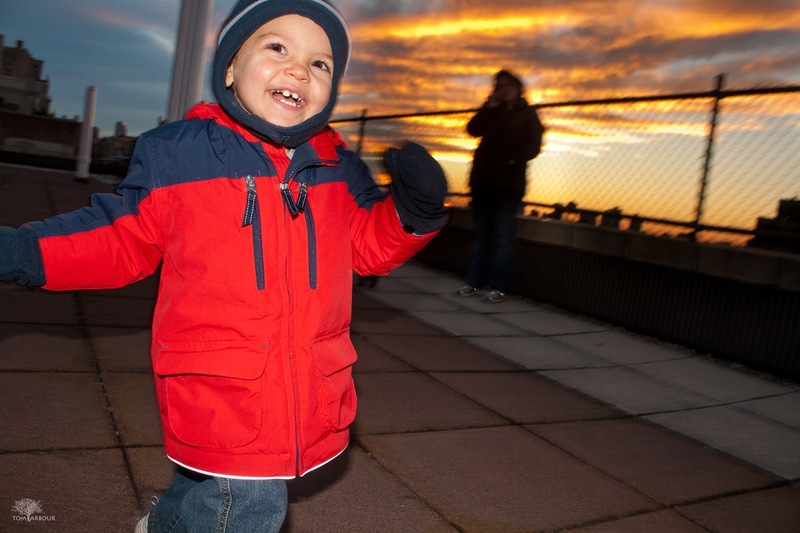 During our 2010 visit, Weston had a blast running around on the roof. By this time, he had recovered from the terror that was the Macy's Thanksgiving Parade. He needed to get out some energy. Yes, we were some 30 or so floors up, and there was a nice fence, but it still made unnerved me. Alas, he survived. Tomorrow I'll bring an end to the New York Series. During our upcoming trip I'm not going to have a ton of time to photographing explore the city, but hopefully I'll get a few new images that I like. We'll be staying in the Upper West Side. Do you have a favorite NYC location that shouldn't be missed for photography?